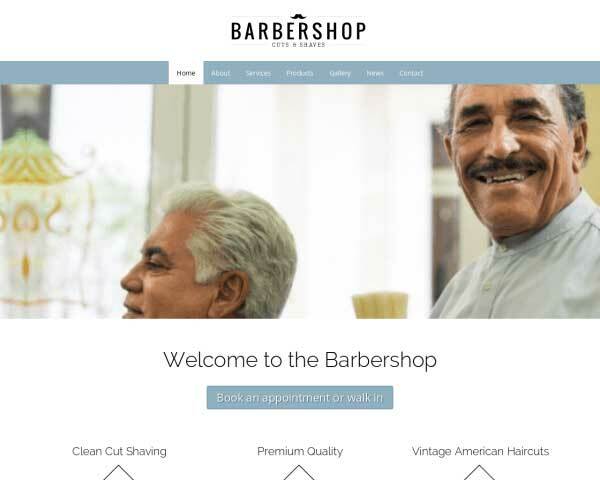 A great-looking website that suits your style is within your reach when you start with the Hair Stylist WordPress theme. Customize the color palette and add your photos and text to give it your own personal touch. 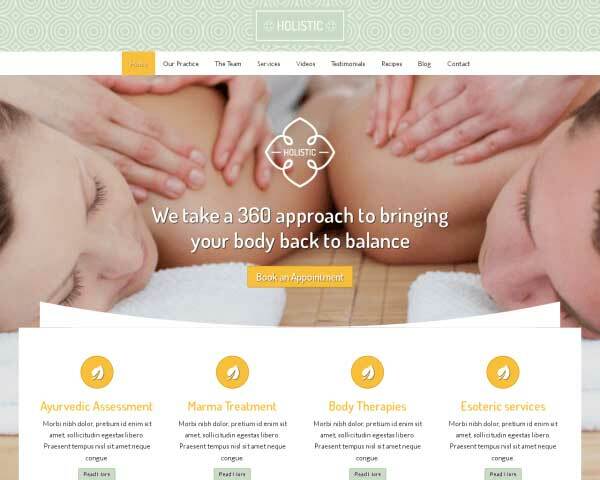 When your business is all about helping clients look their best, it's important for your website to reflect your individual style and show them what you can do. 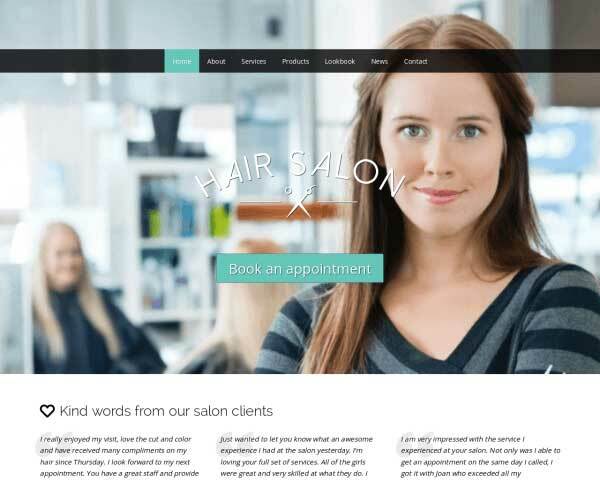 The Hair Stylist WordPress theme features a clean, modern design that lets you dazzle visitors with full-width images of your salon and your best work. We've set up pages for salon services with built-in rate charts and multiple galleries for your portfolio. 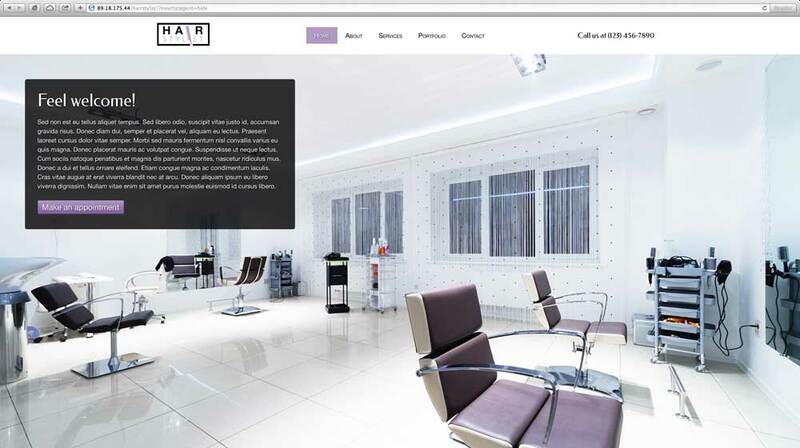 Simply replace the demo text and placeholder images with your own, and customize the color scheme to personalize the look and feel of your hair salon website. Using our powerful front-end editing tool, you'll be able to easily add new content, styling and features without any coding at all. With integrated social media and its fully responsive design, your website will make a great impression even on small screens. 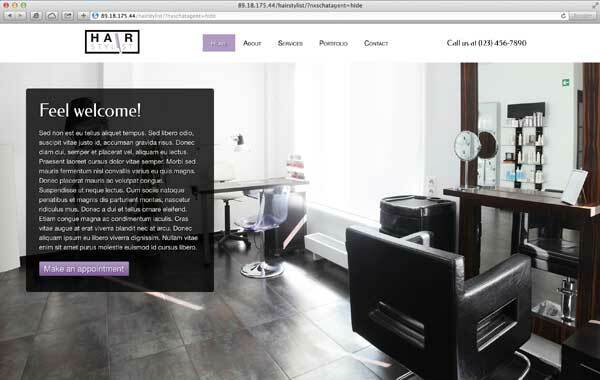 A stylish, professional salon website is within your reach with the Hair Stylist WordPress theme! The Hair Stylist WordPress Theme comes with a built-in booking form, allowing you to take appointments online even outside of business hours. 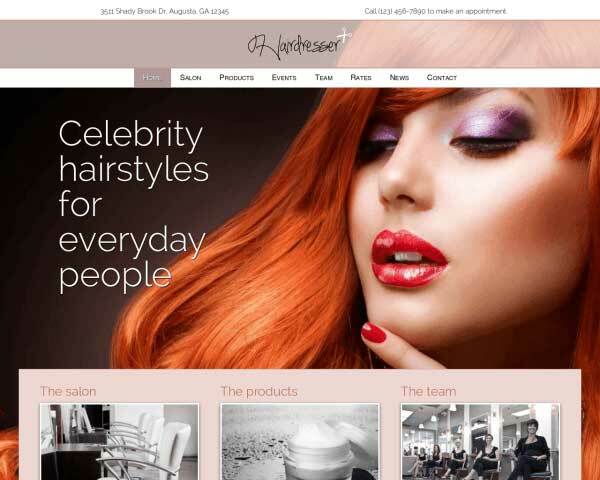 The Hair Stylist WordPress Theme is designed with the specific business needs of hair dressers in mind. Elegant design and pages for each type of service are just the beginning. The Hair Stylist WordPress Theme's contact page is built with useful features like an integrated Google map, route planner and a contact form that can be customized to suit your needs. The Hair Stylist WordPress Theme is beautifully designed with rich features, a clean layout and an eye-catching color scheme. With your own photos and text your website will be up and running in no time. Add an image gallery to any page or post on this responsive WordPress theme for hair dressers. Clicking on any thumbnail opens the image in an elegant lightbox slideshow. 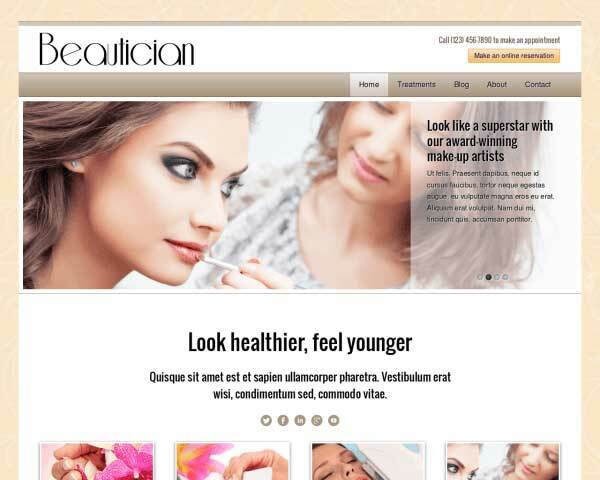 Just replace the text and rates on the price boxes in this WordPress theme for beauty businesses to offer visitors a neat, appealing presentation of your pricing structure. 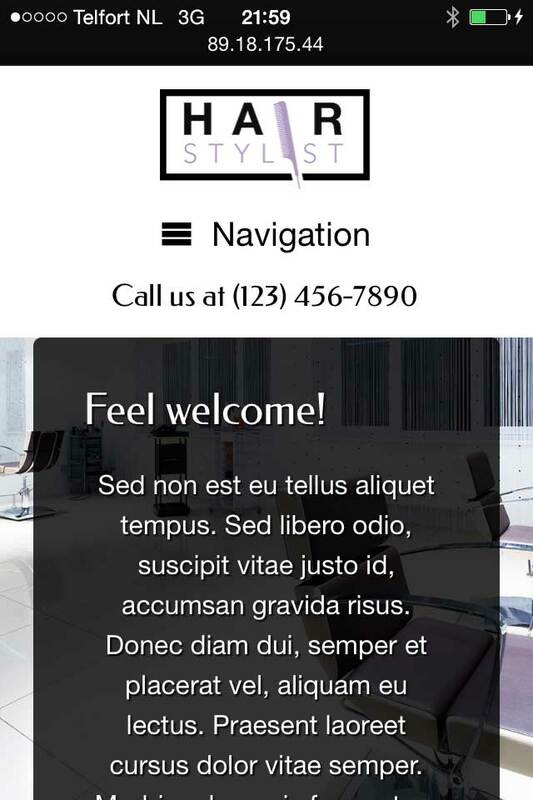 Share your unique and appealing offerings on the service detail pages of the Hair Stylist WordPress Theme. Simply replace the text and images with your own. The Hair Stylist WordPress Theme's homepage is laid out rock solid. With a beautifully symmetrically aligned service overview for you to showcase your particular skill-set. The Hair Stylist WordPress Theme features attractive icons for the most popular social media platforms, allowing visitors to easily follow you online or share your content on their own pages. 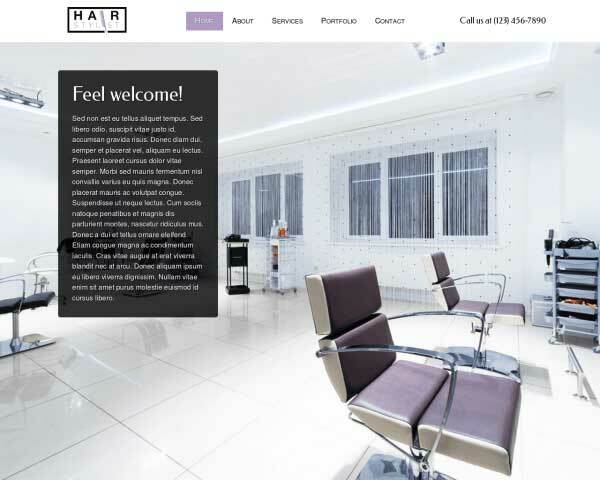 The Hair Stylist WordPress Theme's About Us is set up for you to describe your company profile and approach. Introduce each member of your team with a photo and a short bio. 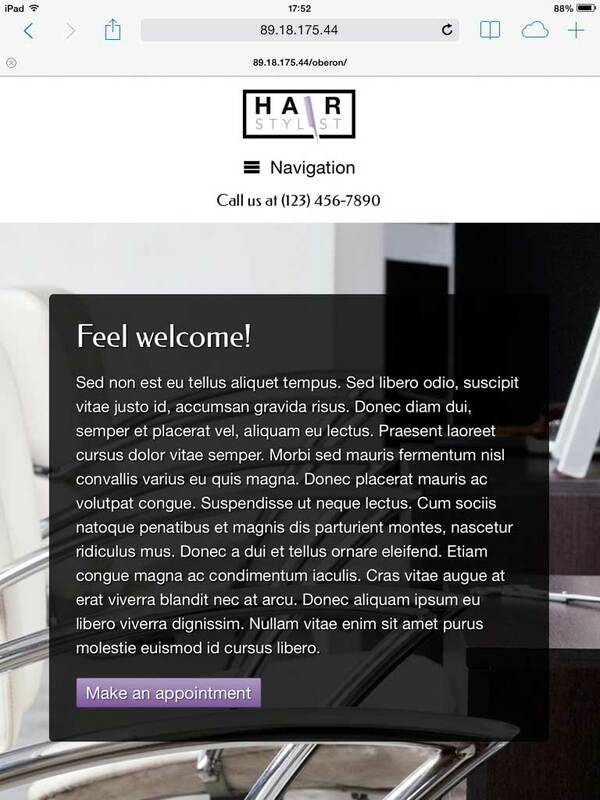 Treat visitors to a great mobile experience with the responsive Hair Stylist WordPress theme. Its mobile-optimized design ensures that your website will render beautifully on any handheld device, offering the same professional look and functionality of the desktop version. Without any additional plugins or tedious coding, the layout of your content will automatically adjust to fit neatly on any screen size. In addition to gorgeous full-width images and intuitive navigation, mobile visitors will enjoy the ability to tap on your phone number to dial or tap your email to open a new draft.